Aromatherapy is often described as the therapeutic use of essential oils and scents to enhance a persons emotional and physical well being. There are many different essential oils used in aromatherapy and each scent can have different effects on you. Essential oils can also be put to a variety of different uses. Essential oils can be used in and around the home and are good for the environment as they are all derived from organic material such as flowers, leaves, seeds, bark, leaves and plants. You can actually use essential oils to help you clean and disinfect your home. It is hard to believe, but only a few drops of oil such as tea tree, along with distilled water can clean and disinfect your home better than any chemical cleaner you can buy at the store. You are getting a very effective cleaner that is safer and cheaper than what you usually clean with. You can use essential oils to clean areas such as the bathrooms and kitchen work tops while killing germs and creating a nice smell at the same time. 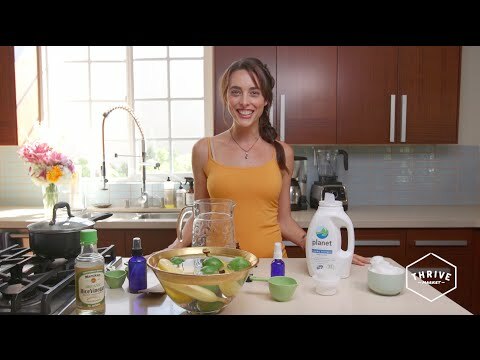 If you are not interested in cleaning with essential oils, then another very popular use for aromatherapy in the home is using them as air fresheners. You can just use one type of oil, or experiment with various scents and blend them to create your very own fragrance that will enliven your home. Add a few drops to water and add to a heat source such as a small saucepan on the stove. You can also purchase special essential oil burners that are specifically designed for this purpose. Essential oils are excellent ways to treat minor skin irritations, scrapes, bruises, bumps and even muscle aches. You can use diluted essential oils for massaging your tired and aching muscles and not only will the oils soak into your skin and help you relax, but the scents will help relieve stress. Tea tree oil is an excellent example of an oil that can be used in first aid. Rub a little of this useful oil on to skin irritations, rashes, acne and even scrapes and you will find that it will help disinfect the area and promote prompt healing. If you suffer from allergies or other respiratory ailments, you can use essential oils such as peppermint to help clear the nasal passages. Add a few drops of your favorite essential oil to warm water and soak a washcloth to make a compress. This will help relieve headaches and may even help bring down the swelling from falls or bruises. Aromatherapy is very popular because the essential oils, when used the right way, can help you relax your body and promote spiritual healing. It is no secret that essential oils have been used for years for this primary purpose. Many holistic yoga and meditation centers use essential oils and aromatherapy to help people feel at ease with their lives. With people so busy and stressed these days, it is nice to know that essential oils can help you feel better in a safe and natural way. If you are new to essential oils and aromatherapy, take a trip to your local health food store and experiment with the different scents. You will be certain to find a few that you love.